Pictured here is the Kaba-Ilco Simplex 1000 Access Control lock, that is the subject of a wide ranging lawsuit previously mentioned. Many government departments, institutions including hospitals, police stations, computer rooms, schools, medical facilities, file rooms etc, that have this lock or similar range of mechanical access control locks (Simplex 1000, 2000, 3000, 4000, 5000 series etc) are now vulnerable to this simple "hack". I feel that displaying the method here would be very inappropriate, however you can find it yourself (with a bit of digging) through the source below. Suffice to say, I believe that any purchaser of this lock or similar, needs to be made aware of the fault and appropriate action be performed to replace it/them with a more secure device. Xena, a manufacturer of intelligent alarms that are portable, inexpensive and functional with the added ability of also being padlocks and other security devices are a new style product combining both physical and electronic security. The many and varied uses for their products, augment well, an increasingly specialized market that demands quality and affordable products tailored at consumers desires to increase the security of their personal fixed and mobile applications. The Bullet-Lock Alarm is a unique product that can be used on a multitude of applications. I continue to be a skeptic of the value of alarm systems, however when a product comes along that incorporates both an alarm and a physical security product, I can only see a seldom seen combination that might actually improve the security of your property. The Disc-Lock alarm, not only alarms your motor cycle, but actually prevents it cycle from being driven away. A 110dB alarm, is often enough to attract the attention of onlookers, a hazard that potential burglars may see as a detriment to their chosen prey. Two new products, tailored to the North American market have recently been released by Salto. Pictured here is the Salto mechanism designed to convert the humble entrance set (most common in USA) to the ultra-secure Salto RFID wireless access control system. 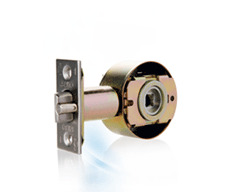 Also recently released (not pictured) is a cylinder designed to be used with conventional wooden and aluminum door mortise locks. Certainly these products are not cheap, but the convenience of high-security access control and audit trail features using the world reknowned Salto Inspired Access systems, separates this company from the other players. Check them out! You are sure to be impressed. Burglars are sometimes a crafty lot. They are indeed becoming more and more bold in their endeavors to outsmart residents. Too often, many homeowners/residents who live with alarm systems actually leave the alarm switched off while they are at home. Many may think, that a burglar is less likely to attempt malicious entry if someone is actually home at their chosen time of attendance. This is not so in the case of a Louisville KY resident recently. Cheryl Effinger recently awoke to a disturbing revelation. Her home had been ransacked while they were sleeping. You see, they failed to arm their system upon going to bed. The bold burglars, broke through a downstairs door and caused damage and the loss of some very valuable home furnishings. "We had turned it off," said Effinger, "because it would sporadically just go off." Here in lies one of the problems with alarm systems. Many homeowners/residents are fooled into thinking that an alarm system is designed to protect them. Similarly to video surveillance systems, an alarm system cannot protect. An alarm system can only inform that a particular condition is occurring or has occurred. Please dont be fooled by the alarm companies, especially when they use the closing sales spiel of 'your insurance premium will reduce by as much as 15%'. Did you realize that the insurance companies and many alarm system providers are in cohoots? Insurance companies do offer some premium discounts if you have a monitored alarm, but rarely do they offer similar discounts for properly installed protective equipment, like good quality deadbolts, window security film or door frame strengtheners. Probably because they do not have an "arrangement" with protective equipment manufacturers. Installing some of our products or similar, will greatly increase the physical security of your entries and likely thwart burglary attempts. Often, locksmiths will provide obligation free security assessments with advice on methods to prevent attempted break ins. Yes, they can and do recommend products they stock and they often will provide expert advice on extra security prevention methods that are inexpensive/free. For an obligation free assessment, contact your locksmith professional today! For more information see the FTC website. I thought long and hard (forgive the pun) about whether or not to post this article, for obvious reasons. But I decided that it fits into the unusual and unique security products category, if you open your mind a bit. This product is tailored to women, keen on keeping their male partners from straying. Of course you can choose your own preferred brand of padlock. Traditional master key systems were designed primarily by architects or door personnel without necessarily much experience in locksmithing. Many existing master key systems found today have been created by the Original Equipment Manufacturer and often do not or cannot be serviced by them, requiring assistance from suitably qualified and trained locksmiths. The benefits of a locksmithing background are immense when designing, creating and building a master key system. Traditional systems usually included one central grand master key designed to work every door/lock in a building or group of buildings. These buildings could be in the same location or multiple locations. Then there would be sub-master keys, held by individuals requiring access to only a designated area and not all areas. Next there were servant keys (a.k.a. 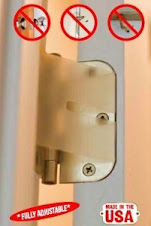 Change Keys) designed to work the individual lock. While traditional systems are still requested today, there are better methods available thanks to products like Abloy Protec and our signature product Bilock. The modern approach to master keying is akin to the purpose of card access or fob access systems, whereby each lock in the system can be programmed to accept individual keys. 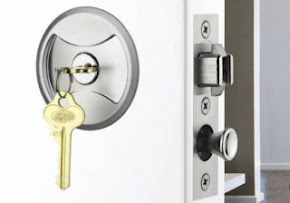 Unlike card access or fob access systems, Bilock and Abloy Protec cylinders work with traditional locksets, reducing the cost associated with new especially designed hardware and electrical connections, computer software programming, training of staff to implement and carry out changes etc. With Bilock, we can tailor any system to as many as 16 million different keys per keyway. That means that virtually any lock in any building, campus or group of buildings, whether in the same location or multiple locations can be mechanically programmed to accept many different keys. With Bilock, you can enjoy painless rekeying, thanks to the Quick Change Core function. Missing or lost keys can be removed from the system without affecting other key holders. The locks (mostly) never have to be removed from the applications (doors). With Bilock, you can color code your keys to make them individual and original. Each key is only produced as an original and cannot be duplicated easily. Cost is significantly cheaper than an electronic access control system, because electronics are not used, there is no wiring to overheat, short out, suffer from power outages. No circuit boards are used requiring foreign made parts to repair. 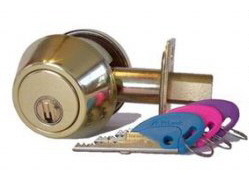 Your locksmith can usually repair or replace a faulty part instantly. Your maintenance person can often take the lock to your locksmith for instant quick repairs as opposed to waiting for a licensed, qualified electronic technician, especially trained in your electronic product category. Many similar models of the cheap safes found in the above video are widely available in big box stores including Home Depot, Lowes, Wal-Mart, K-Mart, Target, Best Buy and Costco. After watching the above video, it is very apparent that many consumers, also here in the USA, may be dreadfully unaware that their new el-cheapo purchase will not perform the action for what is intended. Many of these "safes" (I use the term loosely) are manufactured in countries that have no quality control or independent testing regimes. If you are going to trust your valuables are secure, your cost is a serious consideration. Pay peanuts, and you will get monkeys! I have gotten into a habit of posting the annual results of searches online that lead people to this website. 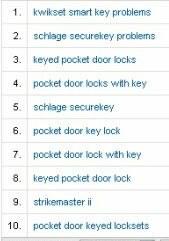 Pictured to the left are the top 10 search terms for 2010 that resulted in 1124 hits to this website. Total quantity of online searches across the many search engines, that caused people to click on this website = 6295 for 2010. This site accounted for 17.48 hits per day in 2010 just from search engine inquiries. The success on any website online, is best measured by the quantity of hits received in search engines. Companies can tout all sorts of indices purporting to offer some sort of indication of your website's penetration, but the best results are those that directly indicate actual website hits. Google Analytics is easily the best vehicle for reporting these results. 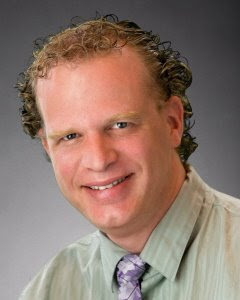 The above statistics combined also indicate 41,827 pageviews for this website during 2010. These statistics help me decide where to place my advertising budget for the next year.